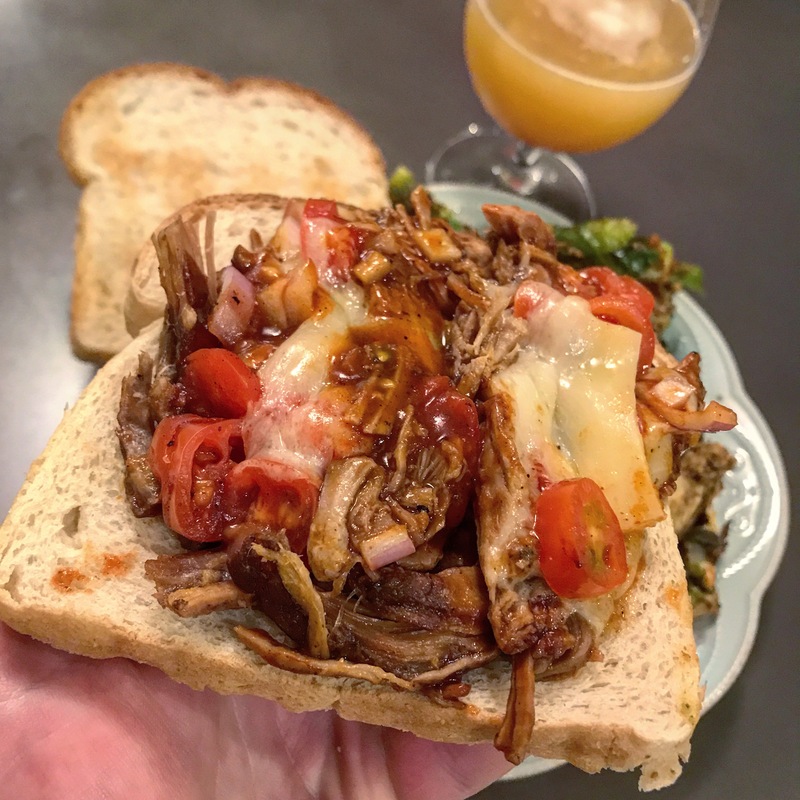 This recipe can used in different ways and is enough pulled pork for a week's worth of meals. The chile sauce is optional, but really adds robust flavor with a little spice. The night before season the pork shoulder liberally with sea salt, garlic powder, ancho chili powder, paprika. Then cover the pork should with pasilla chili sauce and let sit over night. Next day in the morning place into a crock pot and cook on low for 8 - 9 hours. Remove from crock pot and remove twine. Shred meat on a baking sheet, removing any chunks of fat. Spread out meat and spoon some of the juices that are left over int he crock pot. Turn on broiler to high in oven. Set rack near the heat source. Once broiler is hot (after 2-3 minutes) place the baking sheet on top rack. Keep an eye on the meat and rotate the baking sheet every 2-3 minutes until all of the meat is browned.